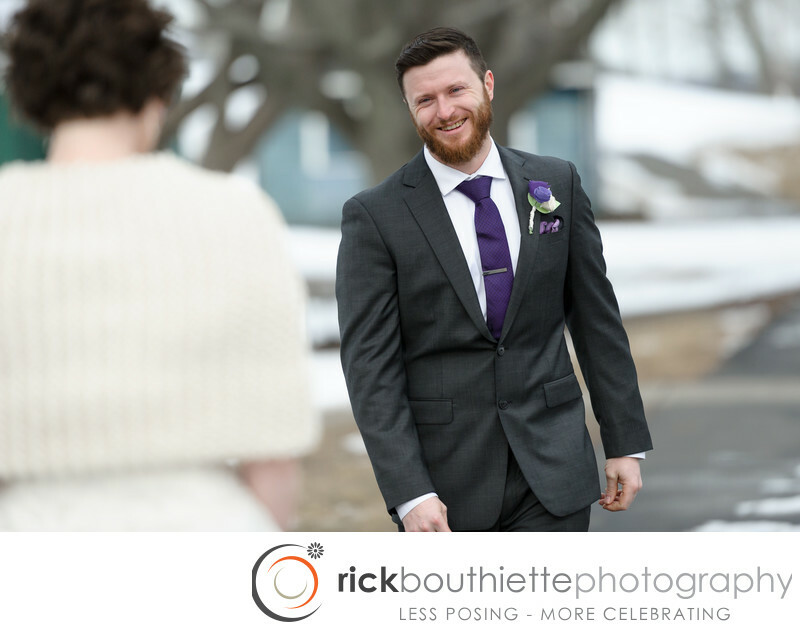 Late winter weddings can be so beautiful! Jamie and Chris chose to have their wedding at the Salem Waterfront Hotel, but decided to do a first look (we love first looks) at nearby Salem Willows Park and it was perfect. No crowds, unseasonably warm temperatures, a little snow on the ground ad fun attitudes made for great pictures like this as Chris saw his bride to be for the first time.